Bears are Omnivores, and so are you! 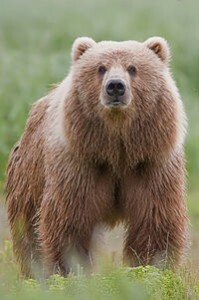 65% of all the people in the world are Bears or omnivores. This is considered a “Mixed Type” of food typing. A mixed type of eating (all the food groups) will nourish your “Bear” needs to prevent and reverse chronic disease and pain. The mixed type diet is the most liberal. Your challenge is to work on eating clean and not switch on chronic disease with poor dietary choice, sedentary lifestyle or overeating. Be sure to eat protein at every meal and non-starchy carbohydrates like vegetables. Use grains (whole/ancient) in moderation – Avoid bread. If you have inflammation, avoid both breads & grains. Consume fruit in moderation & pair it with a protein or fat. Each day have variety in protein sources; choose both white & dark animal meats (ie chicken breast & thighs) eggs, wild caught fish, grass fed beef etc. Snack as needed with balance (Protein, Carbohydrate, Fat). Dairy products and only reintroduced in the future if no inflammation is present. Feta, Goat, Pecorino, Parmesan or Romano cheeses are great alternatives. These are from goat and sheep and do not have the highly allergic cow antigens. If you consume a moderate appetite protein, carbs and fats, with proper portions for your body, you will rarely have a weight problem. If a “Bear” has high cholesterol, diabetes, obesity, metabolic syndrome or any other chronic illness, it is most likely that it was turned on by lifestyle. Follow the “Bear” recipes & way of life, and you will find your balance and continue your good health!